Sometimes tours need a little refurbishment. A bit of clearing out and renovating. My very first trial tour in November 2005 was called ‘Olive Oil, Chestnuts & Polenta’. It evolved into ‘Truffles, Olive Oil & Chestnuts’ and for 2016 has become ‘Autumn in Tuscany’. Each change is inspired by my deeper knowledge of the place. A few years ago I thought white truffles in Italy were synonymous with Alba in Piedmont. Then I heard about the truffle fair at San Miniato (Tuscany) and went in search of a Tuscan truffle hunter. I found Riccardo and his skilled Lagotto truffle hound named Turbo. Since he and his wife (Riccardo’s, not Turbo’s) Amanda are excellent cooks, we get to go to their home for a truffle lunch after the hunt. For ages Amanda didn’t tell me that her brother has an agriturismo (farm accommodation) 20 minutes away between Cerreto Guidi and Vinci (birthplace of Leonardo). When Marco turned up at lunch one day, the fact slipped out. 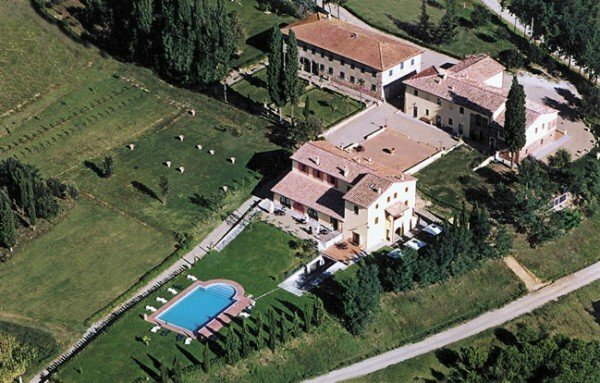 It’s an architectural splendour, originally a Renaissance hunting lodge for an aristocratic Florentine family. Not only that, the locals flock to its restaurant. 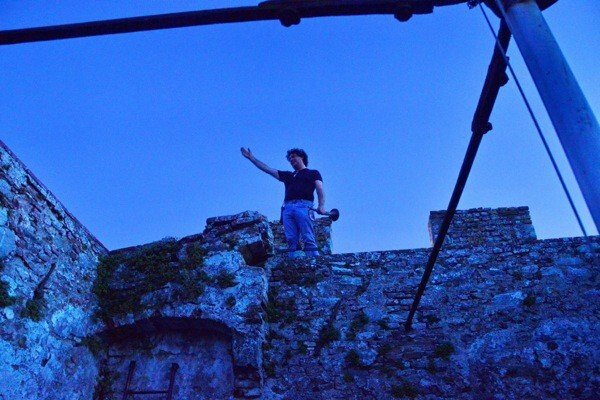 It will be the base for the first five nights of the revised tour. This summer I received a phone call from Elisabetta. 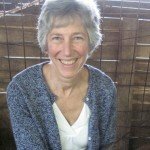 One of my cheesemakers had told her about my tours and she wanted to be part of them. She’s a professional olive oil judge. She sits on the committees that decide which oils will get the prestigious DOP each year (Protected Denomination of Origin, roughly equivalent to DOC for wine). I went to meet her at her home just 5 km from Vinci. One of the first things she said was, ‘Do you realise olive oil is the juice of the olive?’ Without leaving time for an answer, she continued, ‘Would you drink two-year-old mouldy apple juice? 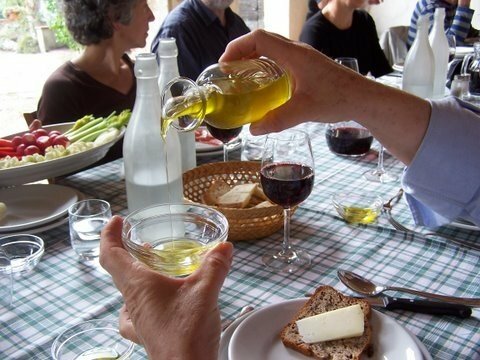 So why do people cook with rancid oil?’ We decided she would design a one-day course about extra-virgin olive oil, and it will be part of the revamped tour. I went home and threw out a slightly dodgy bottle of oil! 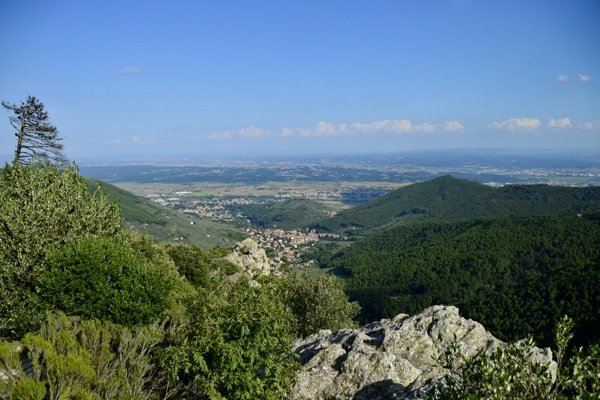 I’ve also discovered some gems in the Pisan Mountains which divide Pisa from Lucca. I’d call them hills if it weren’t for insulting the Pisans. 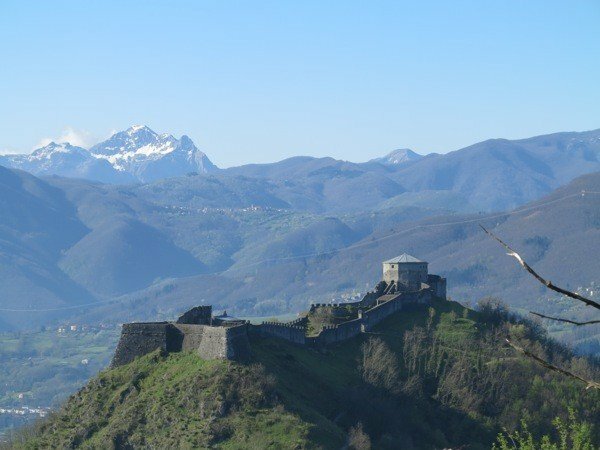 For example, there’s the Brunelleschi Castle at Vicopisano. Do you know the painting by Paolo Uccello of Saint George and the Dragon? (I can’t include it here because it’s almost certainly copyright, but here’s a link: http://www.nationalgallery.org.uk/paintings/paolo-uccello-saint-george-and-the-dragon) I learned from the knowledgeable and entertaining guide Giovanni that the scene behind the dragon slayer and the princess is Vicopisano. Giovanni gave a paper about it at the National Gallery in London where the painting hangs. There’s much more to it than that, but I don’t want to spoil it for you. The last guests I took there were only lukewarm about a castle tour, but at the end they agreed it was several notches above the standard castle tour. At Lucca my best new discovery must be Cremeria Opera, a gelateria that has recently been chosen as the third best in all of Italy by the distinguished food magazine Gambero Rosso. 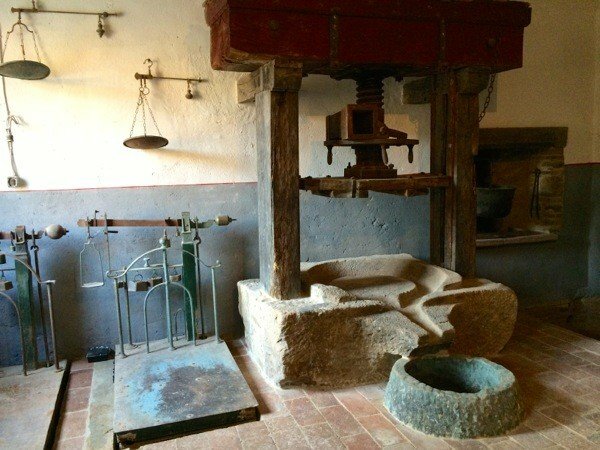 We’ll be learning to make olive oil ice cream with its owner and genius gelatiere Mirko Tognetti. Right now he’s at Expo Milano showing off his skills. Mirko is a great teacher. He enjoys watching his pupils getting it right. One thing that has been chucked out is the day in the Cinque Terre. Sorry, but it’s become a Disneyland. The inhabitants have given up their daily lives and reinvented themselves as tourist attractions. The place is deteriorating because no one maintains the dry-stone walling that holds up the terraces on which all those picturesque vineyards sit. Two of the main paths between villages have been closed for three years now. Recently a guest told me that the trains are so full that passengers have to be pushed into crowded carriages by people on the platforms. Not for me! Still part of the tour is my favourite organic olive oil estate Alle Camelie, which will be the base for the second half of the tour. 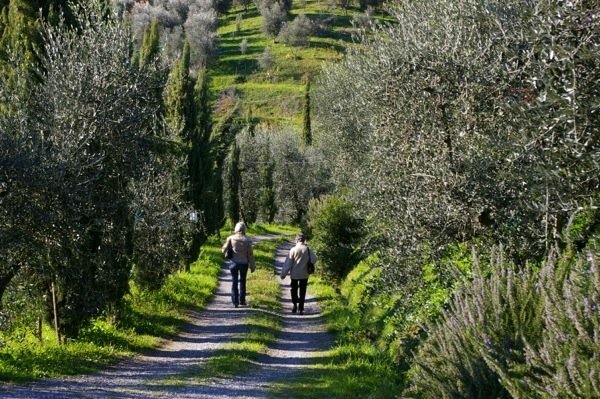 It’s where we’ll pick olives and press them, forage for wild greens and learn to cook them, and eat Elena Pardini’s exquisite Tuscan cooking. 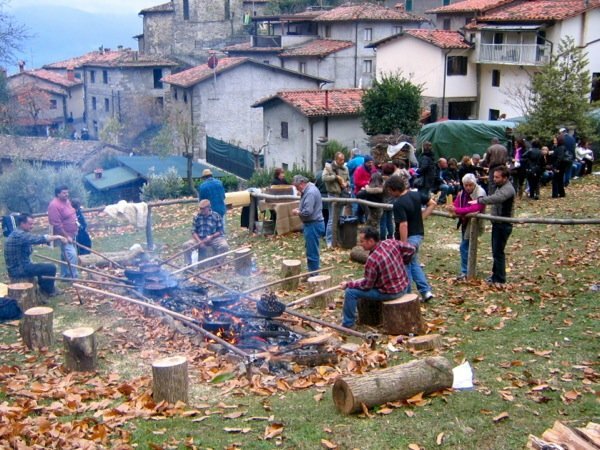 Also still there is the day at a chestnut festival amidst the spectacular mountains of the Garfagnana. This is my home and where my heart in Tuscany beats. Can you smell the chestnuts and wood smoke?